Abilene, TX (April 8, 2019) On the afternoon of April 7th, a bicycle accident happened on South 14th Street near the KTAB/KRBC studio. According to the reports, a bicyclist was heading down the road when it signaled into the inside lane before crossing over. Unfortunately, a vehicle failed to yield and hit the cyclist. When the paramedics arrived to help, they found the bicyclist suffering from unspecified injuries and transported the injured victim to a nearby hospital for further treatment. Fortunately, the cyclist is expected to be okay. The impact of the crash backed up traffic as crews worked to investigate and clear away all of the damages. Our thoughts are with the injured cyclist and his or her family at this time. We hope for a full recovery. 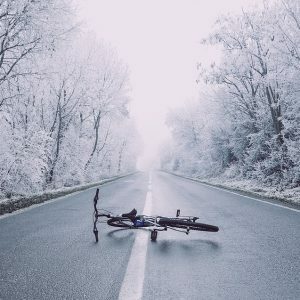 Unfortunately, one of the top causes of bicycle accidents in Texas is drivers being inattentive or intentionally deciding not to yield to bicyclists. It’s important for drivers to be alert and aware of their surroundings, especially when it pertains to looking out for bicyclists since they’re already harder to see and hear. Because their bodies lack protection, bicyclists are highly susceptible to injuries during an accident. At Benton Law Firm, our experienced personal injury attorneys have years of experience helping bicyclists obtain fair compensation for their injuries. We know how these accidents can negatively impact our clients’ lives, especially if injuries end up catastrophic. If you or someone you know was harmed in a bicycle accident that wasn’t their fault, contact us today at 214-219-4878 to find out if you have the right to file a personal injury claim. We have helped hundreds of injured Texans get the compensation that they were entitled to for their injuries and losses and we can help you too.